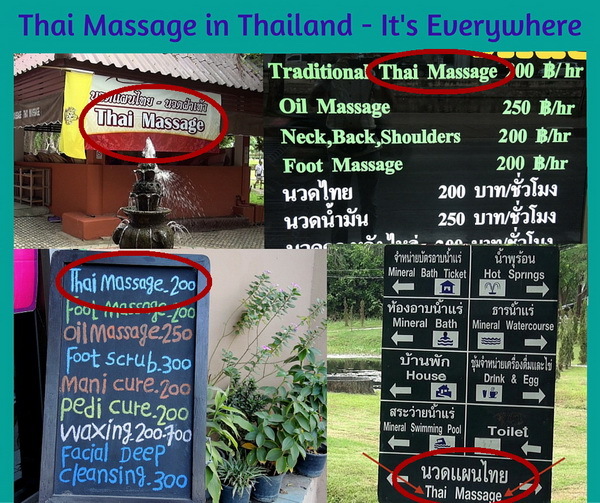 You can’t miss Thai Massage in Thailand – it’s everywhere! I have spent most of my massage career in Thailand. Thai Massage is not only the main style of therapy here, but it’s also a part of Thailand’s culture. When you get a Thai Massage session in Thailand, it is a very different experience than in the West. You learn something about Thai people, you get to know them on a different level. And you will have to let go of judgments based on your own cultural standards from your home country. Normally Thais don’t touch each other affectionately. Traditionally any hand-holding, hugging or kissing in public is not acceptable. However, nowadays the couples of the young generation in the big cities are warming up to holding hands. Handshakes as a greeting are not done, touching someone’s head is considered offensive, and even stepping over someone’s legs is inappropriate. So how do the Thais reconcile their touch aversion with the widespread use of Thai Massage? The answer is: remarkably well. During massage sessions the therapists have a green light to touch you without any reservation. Thai Massage is an excellent outlet for a culture which shuns hugging and touching. It’s the one opportunity where those cultural taboos are temporarily suspended. The Thai therapists don’t have such strict rules like their western colleagues regarding draping, privacy, or professional behavior. Some Thai Massage sessions resemble social events where clients and therapists chat freely in massage rooms which are shared with half a dozen other clients and therapists while anyone can watch the scene. That means there might be tourists snapping pictures while you are getting your massage, or some Thais might just hang out in the shop to chat and socialize. On the beach you see lots of therapists who try really hard to get you on their mat under an umbrella. And while they are working on you they will often hustle other people who are walking by for their next session. Many female Thai Massage therapists always keep an eye out for potential western boyfriends. The typical questions which I had to answer countless times are: “Where do you come from?”, and “Do you have a wife or girlfriend?” Many good relationships and marriages started in a massage shop. In Thailand there is no stigma attached to that. It is not a matter of right or wrong, it is just different. A western therapist would shudder considering this absence of professionalism. But you have to see Thai Massage within the framework of Thai culture and Thai perspective. 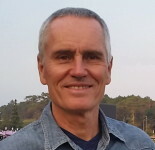 It is not right and not possible to apply western standards to Thai therapists. If you look at Thai Massage in Thailand as part of your cultural experience, you will have a lot more fun and you might come home with some pretty interesting stories. Of course Thailand has many upscale spas and resorts where the massage staff is held to high standards and professionalism. So there is a wide range of massage services available from the five-dollar-an-hour session on a sandy beach towel to the luxury of an eighty-dollar-an-hour spa session in beautiful settings. Let me tell you from my personal experience that many times there is not much difference in quality between a 5 dollar massage in a simple shop and a 50 dollar massage in a fancy spa. What you pay for is mostly the environment and the setting. I have had many great massages which cost me only a few dollars per hour. But if you like a beautiful setting and can afford higher prices, there are some incredibly beautiful spas in Thailand. Massage in Thailand tends to be more colorful, more social, more part of a cultural experience, and also more unpredictable than in western countries. My suggestion is to go with the flow and experience it all without judgment. Let it be part of your Thailand story. The author, Shama Kern, is the founder and director of Thai Healing Massage Academy. He has been practicing and teaching Thai Massage for 2years and he is the creator of 20 online Thai Massage training courses. Thanks shama.i believe Thai massage is really unpredictable,it’s good that with it,privacy ain’t a big issue like in Swedish massage that I do. In that case you easily socialize with the clientele. I think alot of Thai people use it since its the only way you can feel the human touch,besides no hugs and no touches’ among people.. Very true, Thailand is a country where hugging and touching is just not happening. Thai Massage is just the opposite – it is one of the most touch intensive massage therapies there is. It is interesting how both of these extremes coexist so easily in Thailand. Hi Shama…Excellent Information…After doing my Complete Thai Massage Training Course online…I am planning to visit you and ur Thailand for this splendid cultural activity of wellness…. As always, an interesting read. Thank you for the time and effort you put into your news letters. Very nice website and I enjoy reading your material. Thank you, Shama! Quality of massage can differ in cheap shops and in expensive places. One thing is sure that a higher price does not necessarily mean a better quality massage. I am glad you enjoy the blogs. I enjoy sharing about Thai Massage and Thailand.